Blog | Bartok design Co. Blog – Page 32 – Bartok design Co. I love your website and I can’t wait to order a bath of my own one day soon. 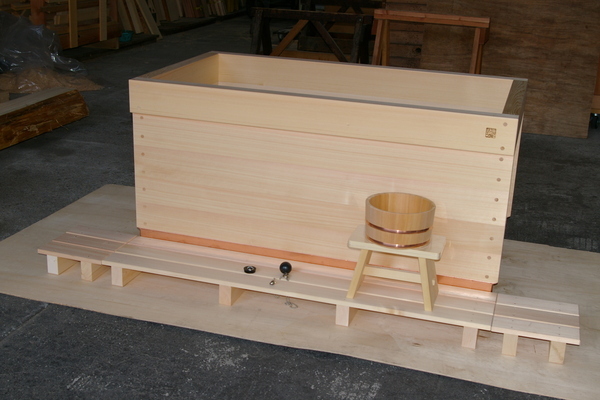 I do have one question: I live in the UK in an area with very hard water (high calcium content from the chalk in the ground) – will this affect the care or lifespan of the Hinoki bath? Would you recommend installation of a water softening device along with the bath? This uses salt to remove the calcium from the water supply. Currently, we are constantly needing to clean limescale deposits off our existing bath etc. using an acidic cleaner, which I expect would be very bad for the Hinoki. On the other hand, the limescale deposits would spoil the beauty of the timber, and I expect would be an area for bacteria and mould to grow. Have you any advice or experience with this topic? With reference to your kind question, also in japan there are many places with hard water. 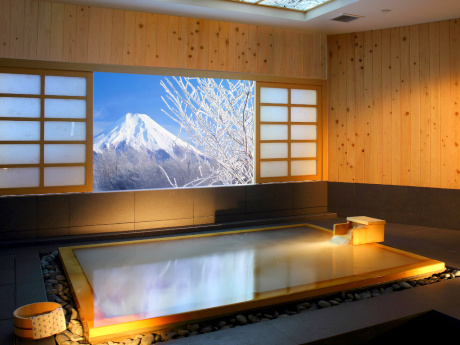 Considering that in the onsen (japanese hot-springs) with thermal water containing all sorts of minerals wooden baths are used,　we can say that there is not too much to be worried about. 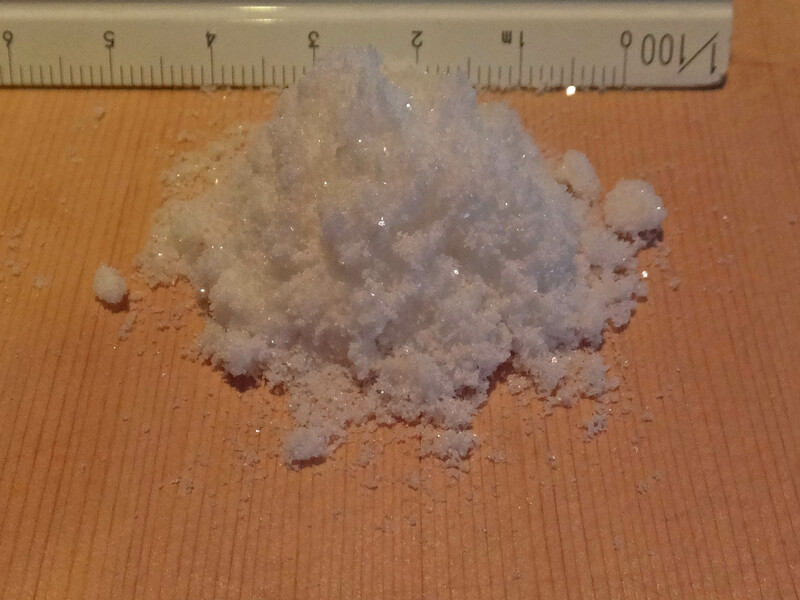 The scaling occurs if the water is left in the tub for long periods (es. 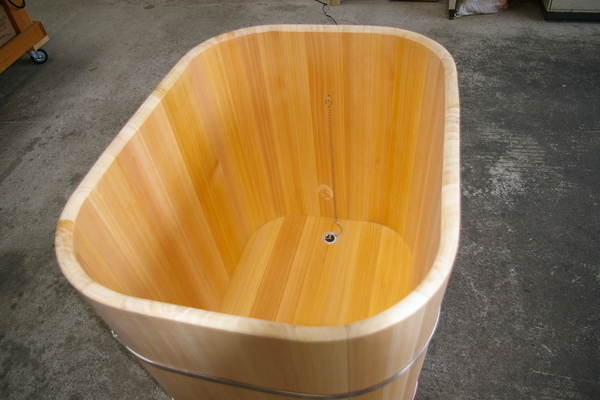 using recirculation systems) so we would recommend to fill the tub only when in use (which works for most residential applications). I am not a chemist, so forgive my lack of technical terms, but actually calcium tends to build up on metals or enamel, it does not stick to wood. We are looking forward to working with you and remain at your disposal for any other question of problem. 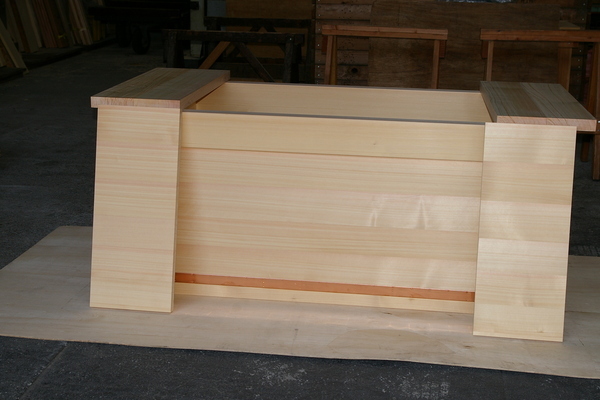 We completed the experimental phase of hinoki wood treated with a new glass based product. The sample in the picture above has been coated with 2 layers and let dry for 12 hours.This product is isopropyl alcohol based and its effect is semi-permanent. 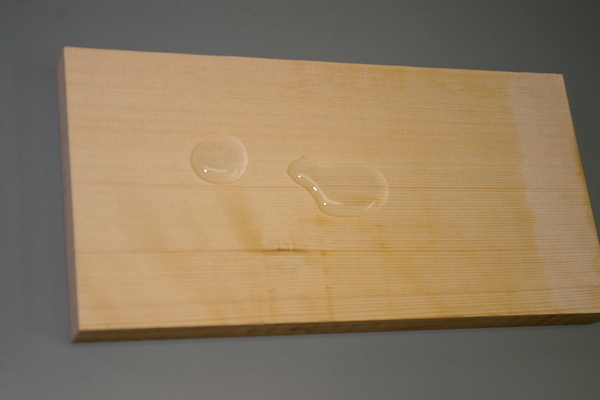 Generally, any type of full penetration product silicon based or fluoride based deteriorates overtime and it becomes more permeable to water (and dirt).This product creates a matte glass coating thus it is virtually permanent and does not allow dirt or mold particles to stick to the wood. If used outside, it can be labeled as self cleaning as when it rains also the dirt particles are swept away. 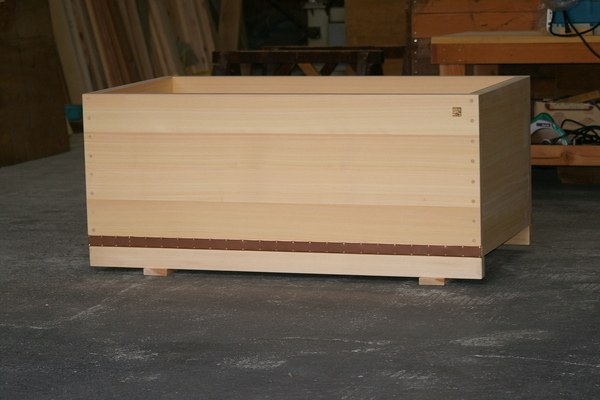 One downside is that it closes the pores of wood hence the aroma of hinoki is almost completely eliminated (unlike other silicon based products like Kihada ichiban). 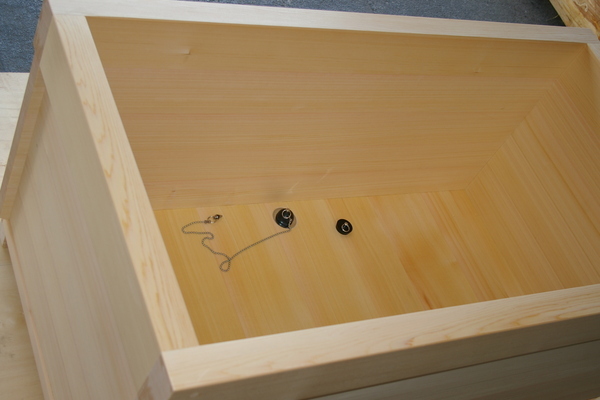 We are going to use this glass based product on the bottom plank (top and bottom side) because it is the most vulnerable as it collects all the tensions coming from the sides.It is also the last surface to dry while the side planks are already contracting.The aroma releasing surface may be reduced by 1/9 but the tub becomes sturdier and more stable. 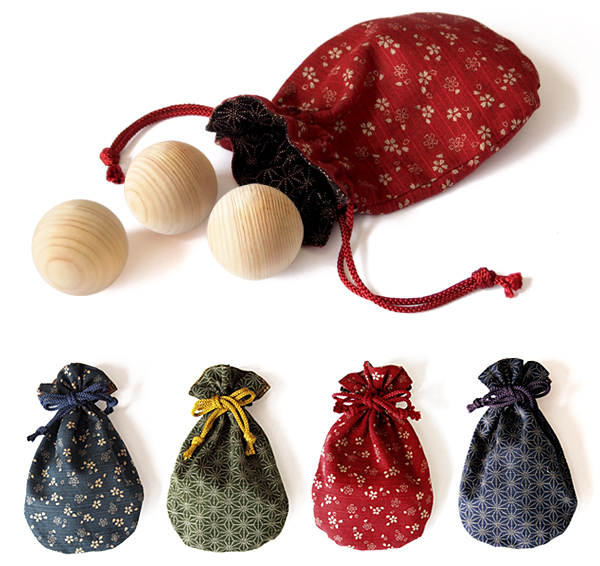 As you may know, bartok design developed a line of hinoki aroma oils. They are enhanced with hinokitiol active principle to boost the oil bactericidal and skin repair efficacy.We need your opinion. For this purpose we are now shipping 100 free samples (30 for end users and 70 for spa professionals and aromatherapists). If you are interested, please contact us by email specifying your address. Please return us your comments. We will not contact you for any other purpose nor disclose any personal information or redistribute it to third parties. 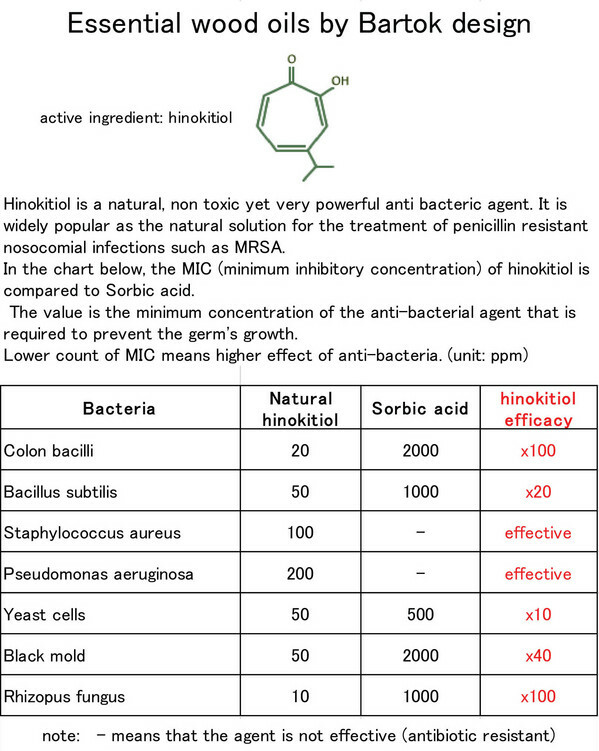 The hinokitiol is quite expensive as it takes about 25Kg. 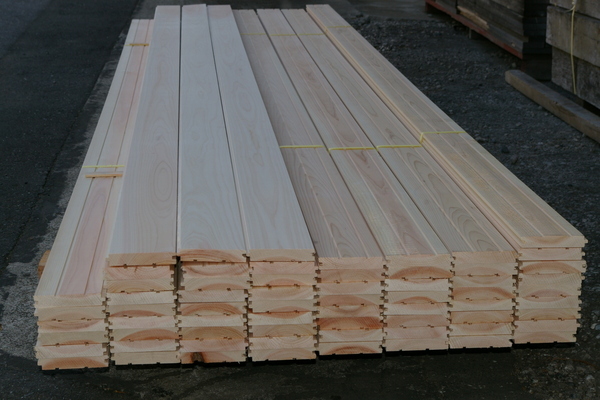 of hiba wood to produce 1g of pure hinokitiol powder. We are recommending 3 formulations. (5%,10%,15%). 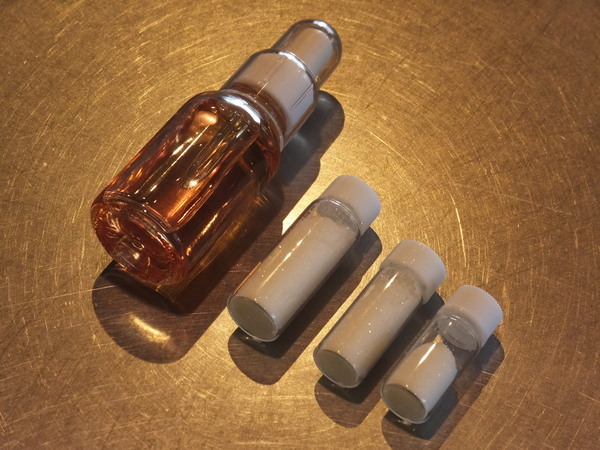 For this concentration, hinokitiol is soluble in the oil without need of a solution medium like alcohol, so the hinoki oil is pure and without chemical additives..
or provide them separately so the user can verify the amount of hinokitiol and mix them before use. Mixing is achieved by simply shaking the bottle. For the 10% and 15% solutions we recommend to place the oil bottle in hot water for 30 seconds. 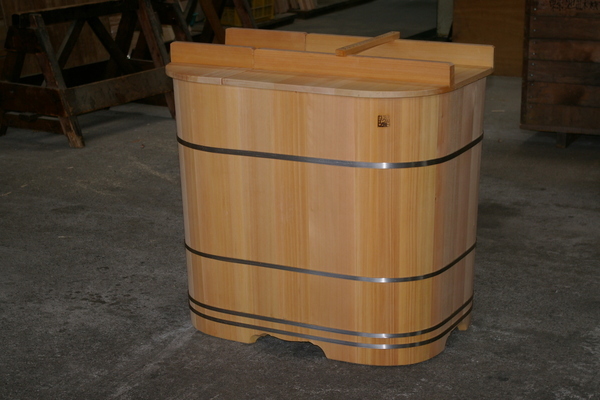 We need your opinion about the marketing format of our enhanced hinoki oil. 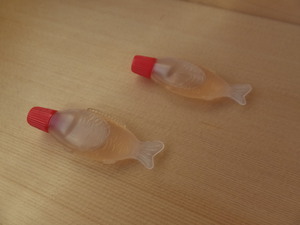 We will ship a free sample (value 6$) to the first 100 people who contact us. Of course shipping is prepaid so you will only have to test it and let us know. 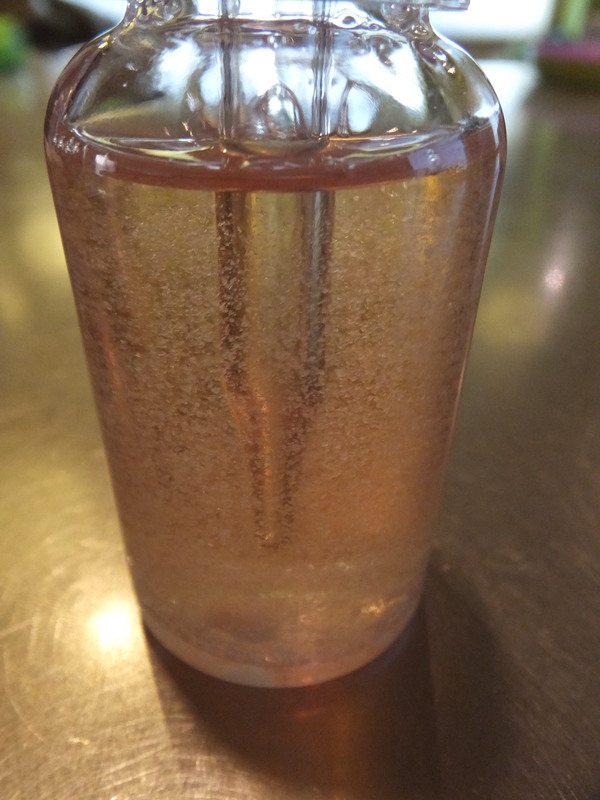 This is also a chance for you to try our hinoki oil for free! 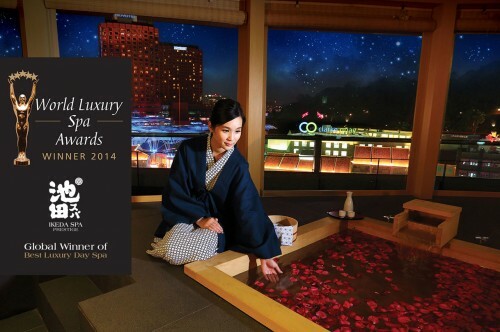 Therefore Ikeda spa is not only the best in Singapore (as everybody already knew…) but the BEST IN THE WORLD! 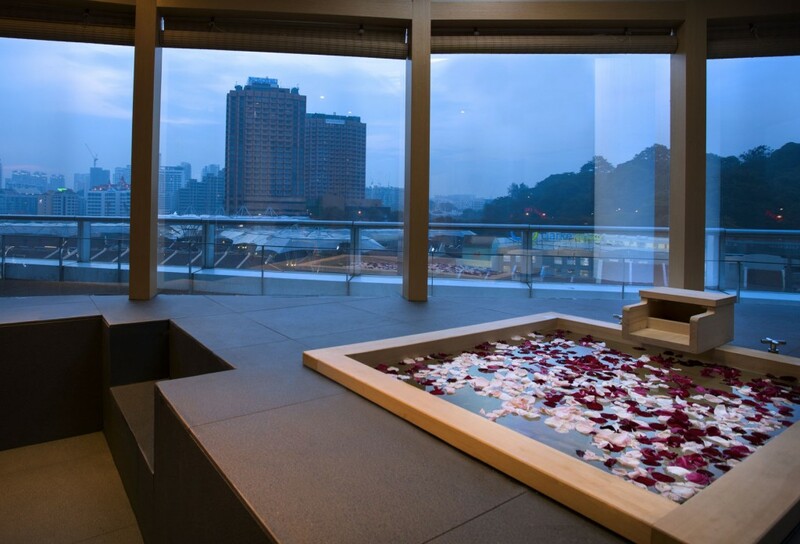 If you go to Singapore don`t miss this chance of trying out the Bartok design tubs!